The Bible contains a verse that scholars like to quote. It is from the book of Ecclesiastes: “Of making many books there is no end, and much study is weariness of the flesh” (12:12). In context it serves as a warning against the vain illusion that we can study our way to the Kingdom of God. The spiritual life is not a Kaplan course, nor is it like getting tenure after piling up a good record of scholarly publication. Wearying, yes, but often profoundly rewarding, and certainly necessary. From the very outset, faith in Jesus took the form of scriptural commentary. 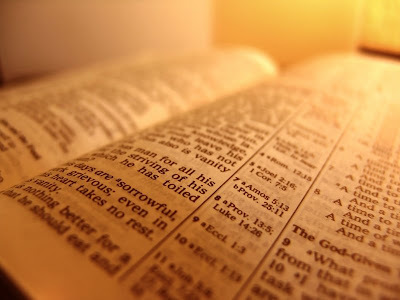 The gospels are punctuated with the refrain: “that the Scriptures might be fulfilled.” The Sermon on the Mount is a commentary on the revelation to Moses on Mount Sinai. St. Stephen’s speech in the Acts of the Apostles provides a summary interpretation of the Old Testament as a whole. St. Paul’s letters are chock full of biblical citations, allusions, and expositions. Not surprisingly, biblical commentary played a central role in the life of the Church. The Fathers wrote commentaries, far more in fact than treatises on doctrinal topics. The great medieval theologians wrote commentaries. Martin Luther and John Calvin wrote commentaries, as did Cajetan and Robert Bellarmine. For more than a thousand years it was simply assumed than an exegete and a theologian were pretty much synonyms. After all, you need to know what the Bible says in order to develop an accurate account of God and salvation—and you need to study classical doctrine in order to give a clear and cogent account of what the scripture says. These days this unity can no long be presumed. Over the last two hundred years, the work of biblical interpretation has rotated away from the churchly business of teaching doctrine. Bible scholars have built their own independent intellectual project, one that excludes Church doctrine from the process of interpretation as a matter of principle. The job of the modern historical exegete is to scientifically determine what a particular portion of the Bible meant when it was composed, not how it should be read by the Church today. This is a nice article, but we’re still sitting on the edge of our seats waiting to learn more about the dating of Mark’s gospel, and whether or not he wrote so much about the Temple because it had already been destroyed when he wrote . . . I’m looking forward to it! I also want to add, in response to the article, that you scholars have an important vocation because you make so much accessible to little people who will never be scholars (like me). Commentaries on scripture are so important for helping people recognize the depth and beauty of Sacred Scripture. I think the existence of so many commentaries underlines the fact that Sacred Scripture is divine. Only God’s Word could be important enough to inspire so much effort to understand it. I picked up some of the Ignatius Catholic Study Bible commentaries recently, and they are gems! I especially like how so many footnotes cite the Catechism of the Catholic Church. I have found the Catechism almost impossible to plow through cover to cover, but when it’s tied to scripture passages, it comes to life. Then there is this other book I came across that’s a wonderful commentary on the book of Revelation, and incredibly helpful. Hmmm. I think it’s called Coming Soon written by—oh, that’s your book! Don’t ever underestimate the value of your work to make the Scriptures understandable to ordinary people. Different commentaries appeal to different people, but everyone who picks one of them up will come closer to God because of it.